What Does Piercing the Corporate Veil Mean? 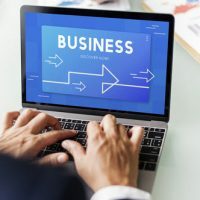 Business owners typically choose to form either a limited liability company (LLC) or a corporation, which provides a number of benefits, including the ability to have some personal liability protection from the company’s debts and liabilities. However, there are times where a corporation’s shareholders or owners, or the LLC’s members, will be held personally liable. This is known as piercing the corporate veil. LLCs and corporations are both treated as separate legal entities from the individual people who formed them. Small LLCs and closely held corporations are the ones who are most likely to have their veils pierced. This means the company’s creditors can pursue the owners’ personal assets, including bank accounts, homes, investments, and more. Courts will not hold innocent people personally liable — only those individuals who are responsible for the LLC’s or corporation’s fraudulent or wrongful actions. The company acted in a fraudulent or wrongful manner. For example, maybe an owner made business deals he or she knew the company couldn’t pay, recklessly borrowed money and then lost it, or acted in another dishonest or reckless way. The court may find there was financial fraud and therefore the limited liability protections shouldn’t apply. There was no real separation between a business and its owners. If a business’s owners do not keep a formal legal separation between the company and their own personal affairs, the courts may find the LLC or corporation is not really a true legal entity. They may view it as an alter ego of the owner. An example is when a business owner pays their own personal bills from the company’s bank accounts. Or they failed to follow the legal formalities set forth for corporations and LLCs. Or, maybe an LLC or corporation makes important decisions but fails to include them on the record in meeting minutes. These could lead the court to determine the owner is not entitled to the normal liability protections that a corporate business structure would be entitled to. If a business’s creditors are left with an unpaid court judgment or unpaid bills, and the above factors apply, a court will try to correct any unfairness and pierce the corporate veil. What Factors Do Courts Look at When Deciding to Pierce the Corporate Veil? Courts will start by looking at whether the LLC or corporation failed to follow required corporate formalities as required or engaged in fraudulent behavior. They will look to see if the business was inadequately capitalized, which means the corporation never had enough operating funds, which means the business was never really a separate entity that could operate on its own. If you want to ensure your LLC or corporation is not at risk for piercing the corporate veil, you need to speak with a knowledgeable Washington DC business law attorney. Contact our skilled team at Tobin, O’Connor & Ewing at 202-362-5900 to schedule a consultation.